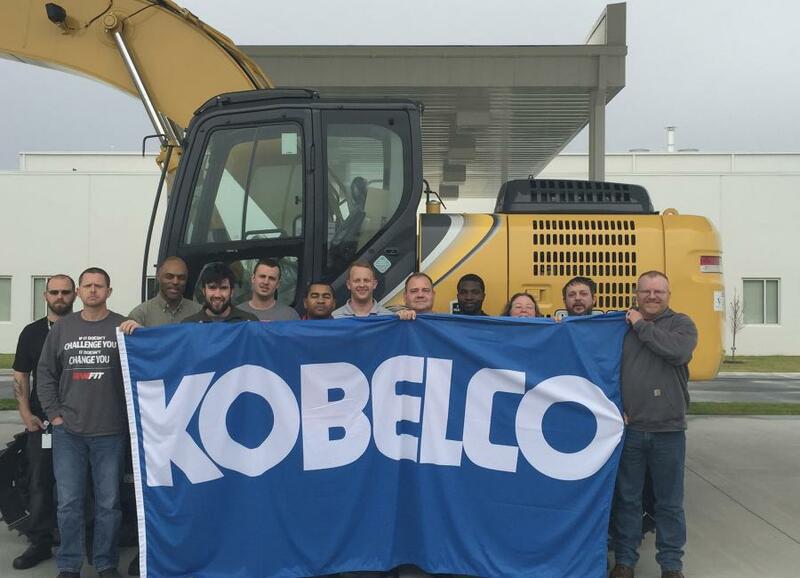 KOBELCO Construction Machinery USA manufacturing team. KOBELCO Construction Machinery USA furthers its dedication to the North American market with the expansion of its US manufacturing team. The KOBELCO production facility in Spartanburg, SC made several new hires in all operational areas including fabrication, paint, assembly and warehouse. Current mass production at the KOBELCO North American facility includes the SK210LC-10 and SK350LC-10 excavator models. KOBELCO will increase the facility's manufacturing capacity in 2017 with the addition of two new models – the SK300LC-10 and SK500LC-10 – as well as 60-ft booms and arms. The new employees join KOBELCO USA with a combined 120 years of experience in their respective fields. They bring extensive knowledge and a rich history from diversified and well-known companies to their new roles at KOBELCO. Each team member will be fully trained to exacting KOBELCO quality standards. Assemblers and welders will be trained through the strong partnership KOBELCO has with ReadySC and Spartanburg Community College, while paint and warehouse associates will be trained onsite at the KOBELCO North American manufacturing facility. For more information, please visit www.KOBELCO-USA.com.